A few weeks ago I mentioned that we have quite a few Christmas Countdowns/Advent Calendars in our house. We have an advent calendar from Pottery Barn Kids where I put a little treat in each of the pockets. Noah's found matchbox cars, stickers, bubbles, mini candy canes, and chocolate in there. This is something we usually wait for Chris to get home from work to do. So far we only missed a day when we were visiting family in Rhode Island. 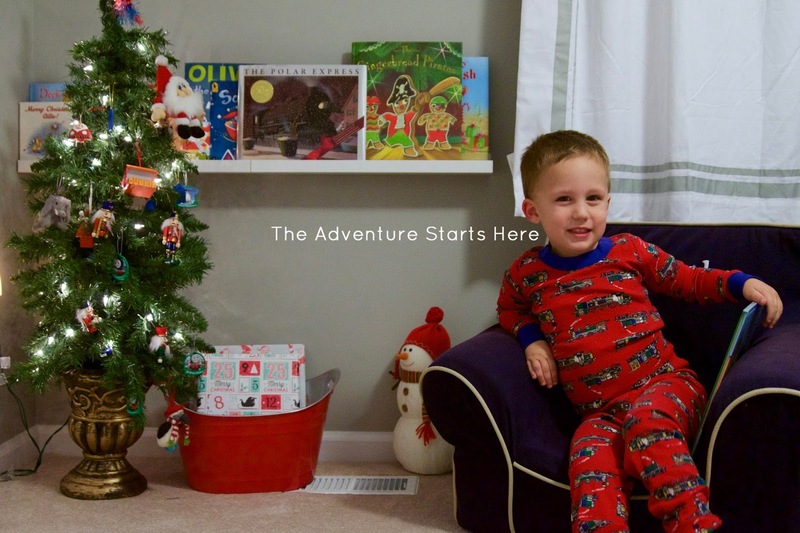 We also do the 25 Days of Christmas Books, which for us is really 24 books since we read the last book on Christmas Eve. Maybe next year I'll start on November 30th ;) Anyway, Noah has been loving this one. 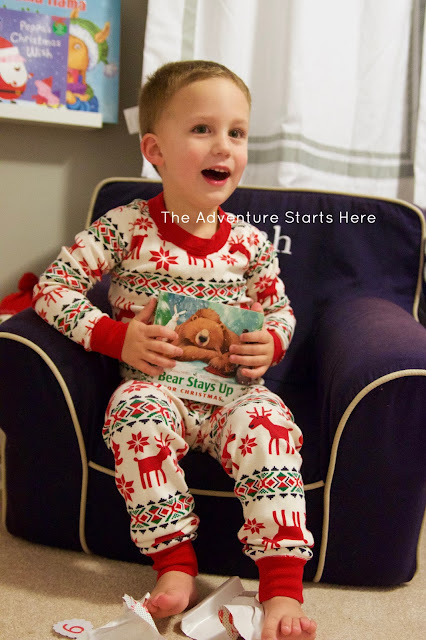 Sometimes he opens the book in the morning and we read it throughout the day, while other times we wait until bedtime. There's only been one book that he hasn't liked so far (The Not Very Merry Pout-Pout Fish), and to be fair, he hasn't given it a real shot. It was the first book we opened and while he loves the original Pout-Pout Fish book, he was immediately disappointed when the "blub, blub, blub" part wasn't in this book and lost complete interest. Now whenever we suggest reading it, he says no. 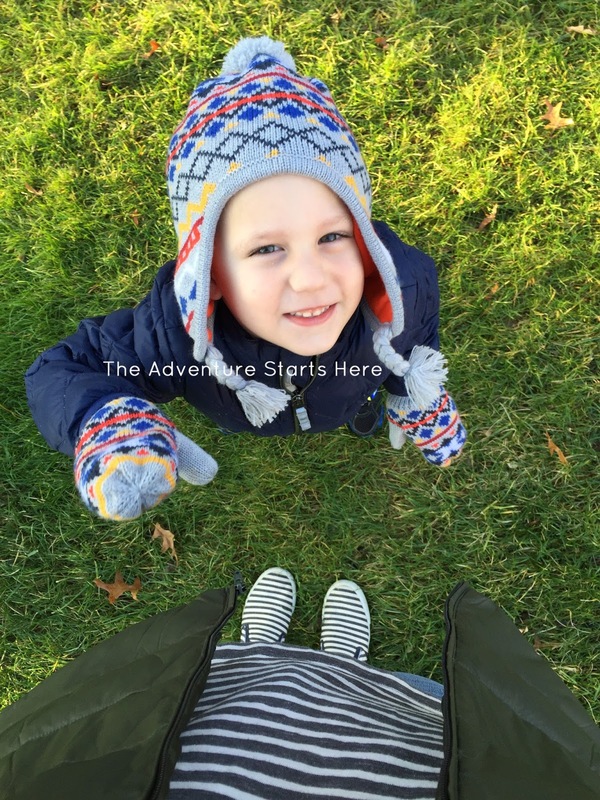 We also had a little spurt of cold weather where we actually needed hats and mittens. 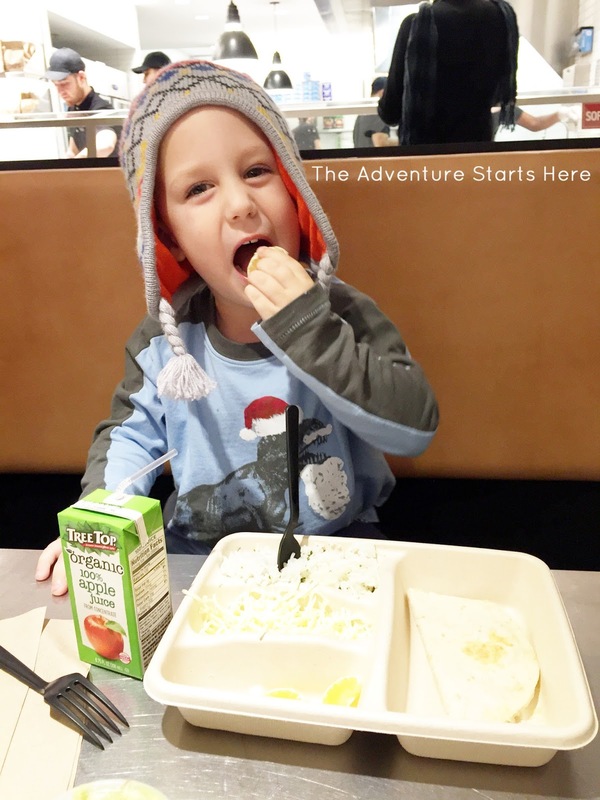 While the cold weather didn't last long, it was so cute how excited Noah was to actually wear them... and even kept his hat the whole time we were at Chipotle with friends! We've been staying busy at home doing our daily Christmas activities as well as lots of random play. Noah is at the age where he likes to play "make believe" more and it's so cute to watch and do with him! 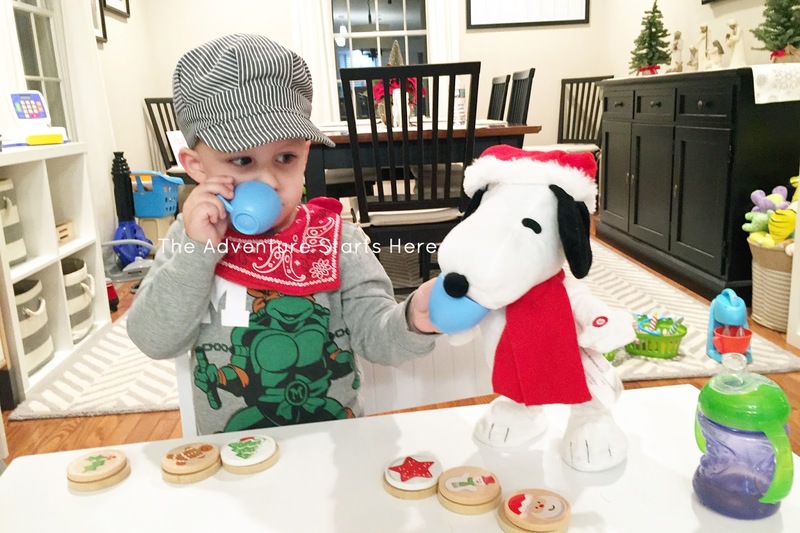 One night we had a Christmas cookie and coffee party with Christmas Snoopy and Christmas Goofy (not pictured). 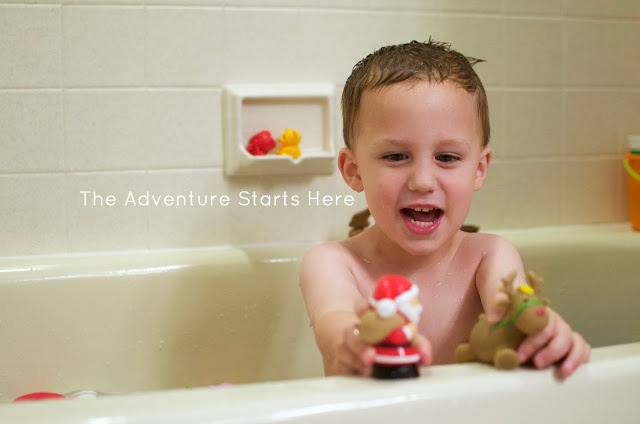 My favorite part was that the coffee came straight out of his play kitchen's faucet... wouldn't that be cool! And while it was totally hectic at times and there was a fair amount to clean up afterwards, we had so much fun at the Christmas Party we hosted. 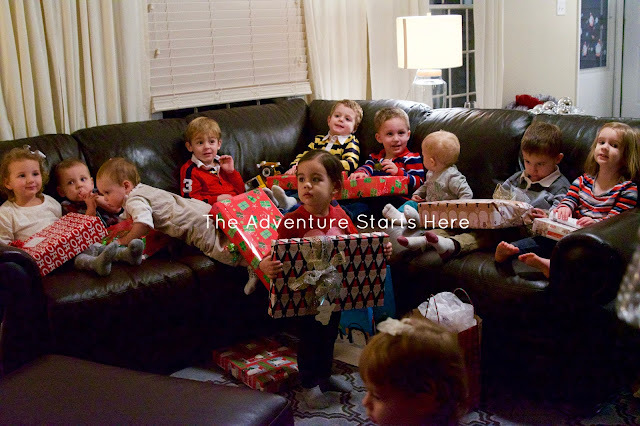 We had 8 moms (including me) and 11 kids (including Noah) in our house one afternoon last week. I put out some appetizers and my friends all brought a dish, dessert, or some wine for us all to enjoy while the kids played. We also drew names and did a little Secret Santa gift exchange between the kids. I absolutely love that I've made such a great group of friends over the last few years and that Noah in turn has some amazing friends to grow up with! And just this weekend, we took Noah to look at some Christmas light displays. 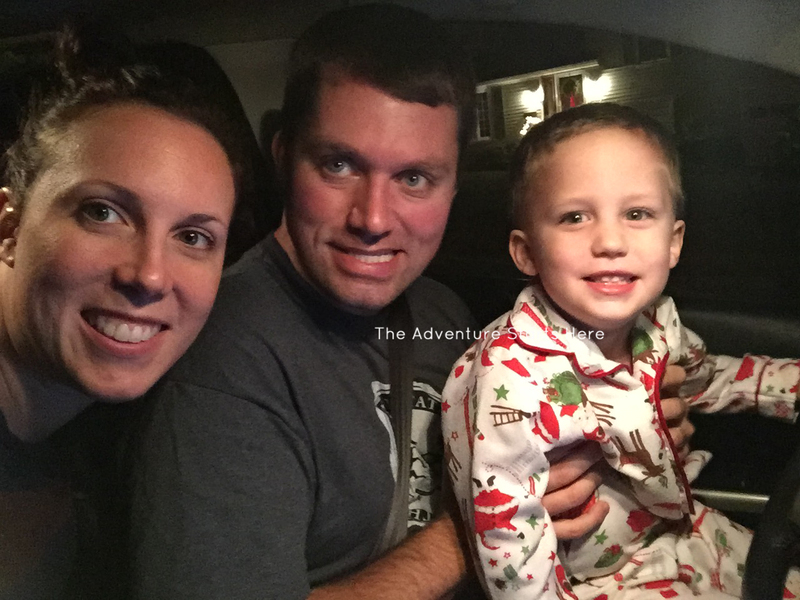 We dressed Noah in his PJs and brought some cookies to eat in the car. We went back to our old town since we are super impressed by two of the houses. 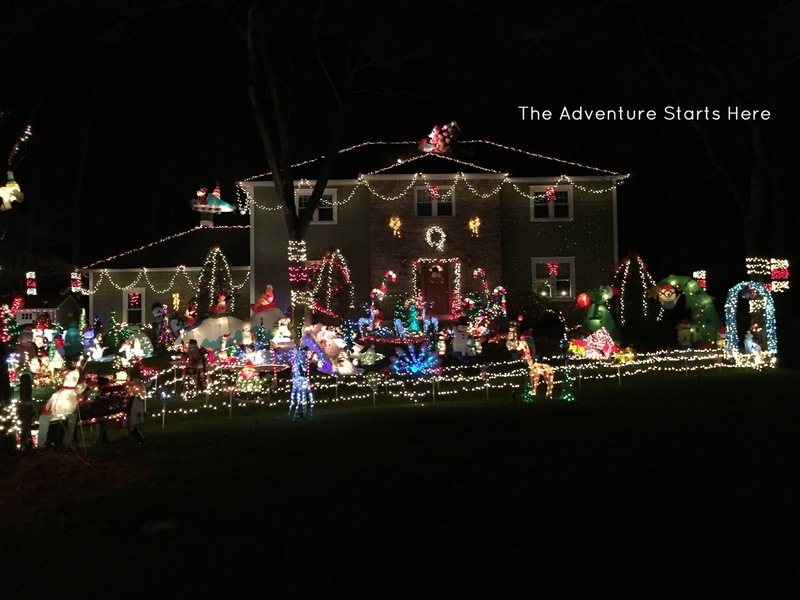 At the first house, you turn the radio to a certain station where there's Christmas music synced up to the lights. 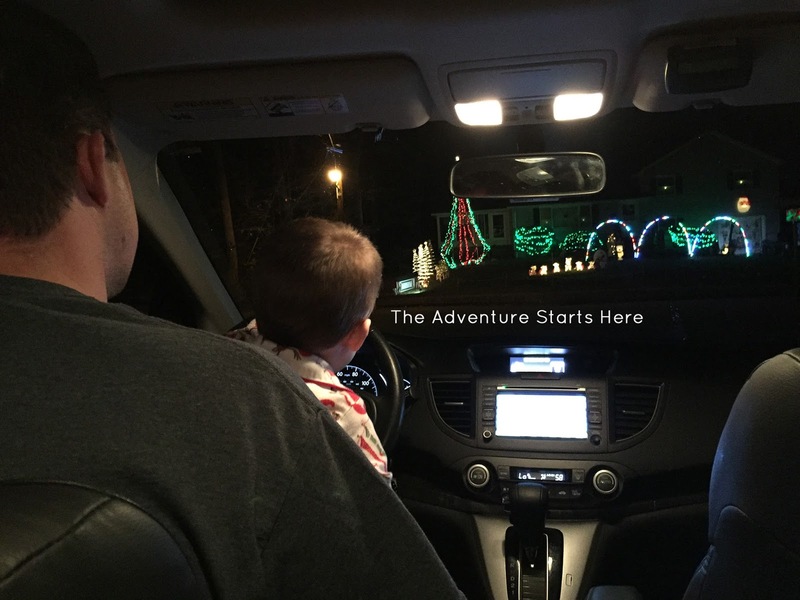 It was a rough start where Noah just wanted to play with the windshield wipers and turn all the console lights on, but he quickly got into it and started singing along (check out the video below). 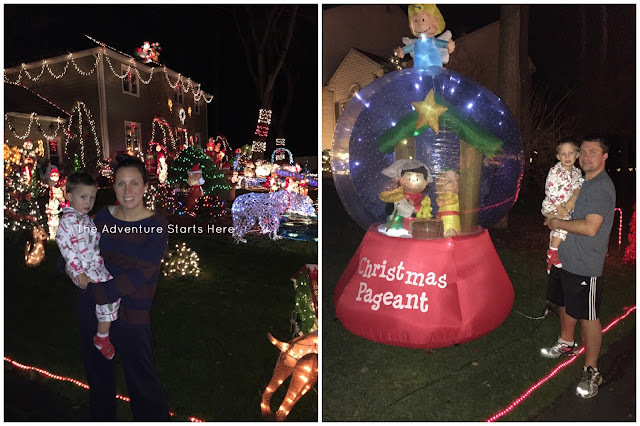 It was pretty amazing and Noah especially love the Hippo song :) Next, we went around the corner to the second house that just goes crazy with all the lights. As an adult I immediately wonder how much their electric bill is and where they store everything the rest of the year! 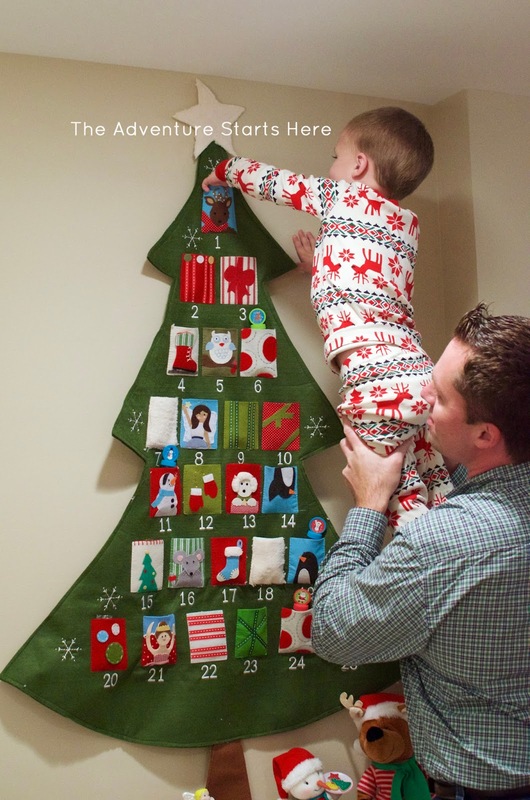 I love your advent calendar from pottery barn!! 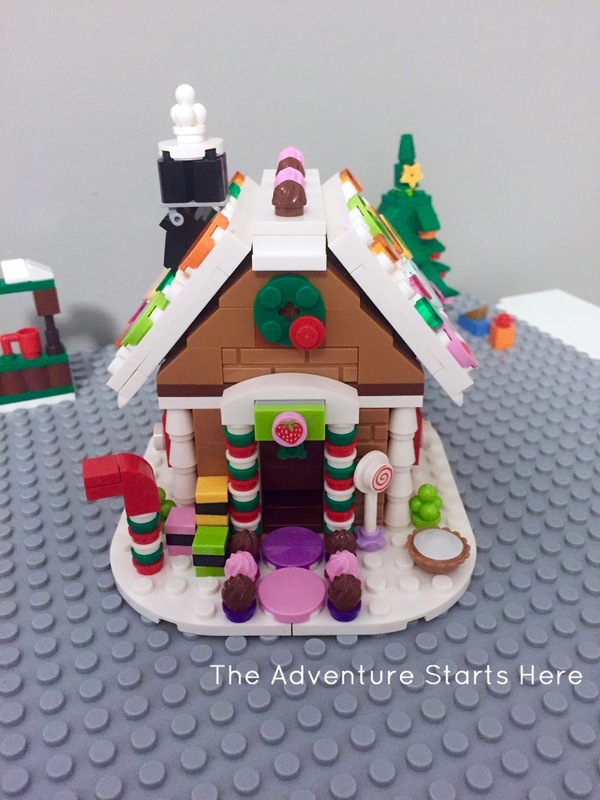 I wanted that lthe go gingerbread house so bad but didn't need to spend $100 at our store to get it. :) Drew was not on board for that. Ha ha! 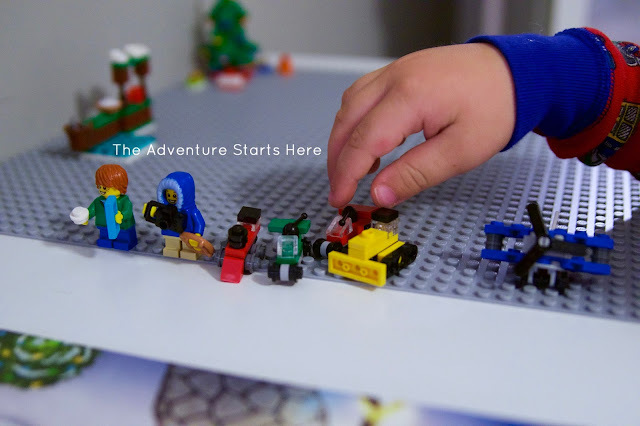 I'm going to look into that Lego Advent Calendar for next year. I think that is something that Cash would be head over heels for! Oh my gosh!!! You guys are so fun! I love it. 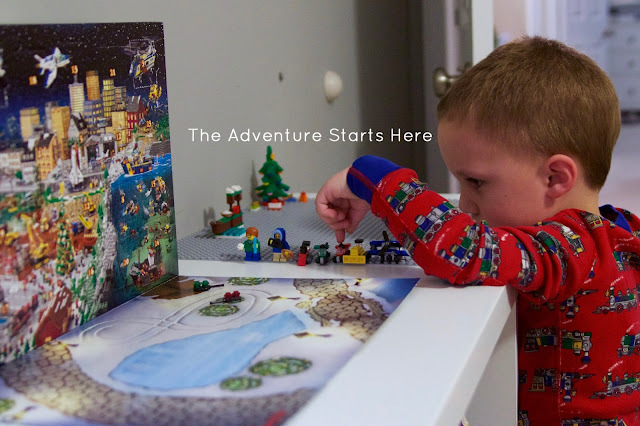 That Lego advent calendar is awesome! I wish Mason was a little older because I definitely don't trust him with regular Legos yet :) So awesome she got that gingerbread house free with purchase too! How is this the first I am reading of a Lego advent calendar?! I have a love/ hate with Legos since I never know how to put them back together, ha! But Liam would love this. I always wonder about those electrical bills too! I love how many advent calendars you have!